Click on the image to see an enlargement. Photo © 2014 Roy Caldwell. 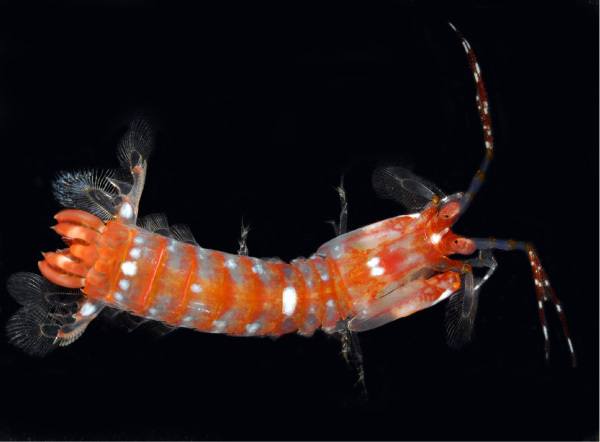 Availability: This is an abundant stomatopod at depth, but probably due to its small size, it is rarely exported. May arrive as a hitchhiker in live rock.